"Spring is the time of year when everything seems fresh and new. Your wedding favours should reflect this. They should be light, airy, and happy, reminding people that flowers are blooming, days are longer and the weather is warmer.".. 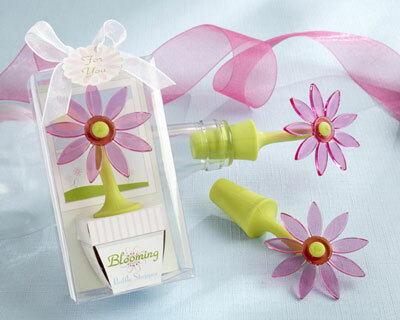 Blooming Flower Bottle Stoppers: Nothing says spring clearer and louder than a flower in full bloom! Delight your guests with this wonderful keepsake presented in a clear display box with a window looking out into a beautiful sunny day. Ceramic Honey Pots: Along with all those spring flowers, there's got to be a bee or two buzzing around. Honey pots are great gift idea for your guests. The implication of honey alone is gift enough. After all, isn't honey one of nature's sweetest offerings? 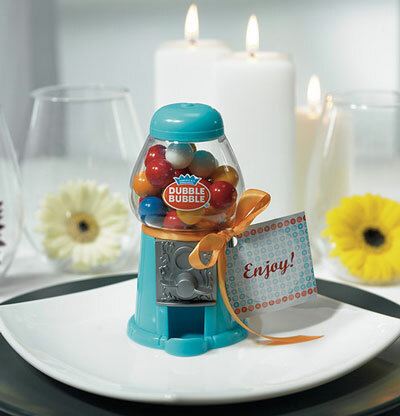 Gumball Machines: Fresh off the assembly lines for 2009, these trendy little machines are retro and cool. They have been making a comeback in recent years and now they are available in a smaller size to be used as favours! 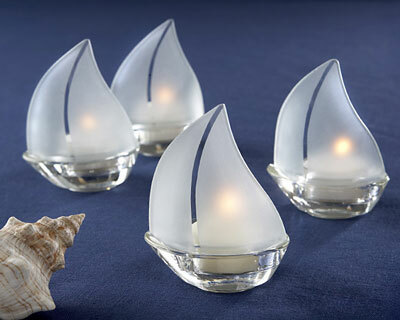 Luminous Mini Lanterns: These are an excellent choice for a favour because they can double as part of your table's décor as well. These beautiful lanterns can be lit throughout the night instead of traditional candles and guests can take one home as they leave. 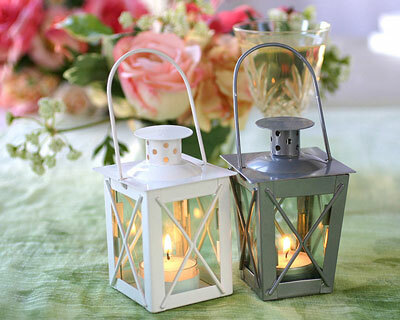 Lanterns are a great way to herald in long days and short nights (one of the greatest things about spring!). 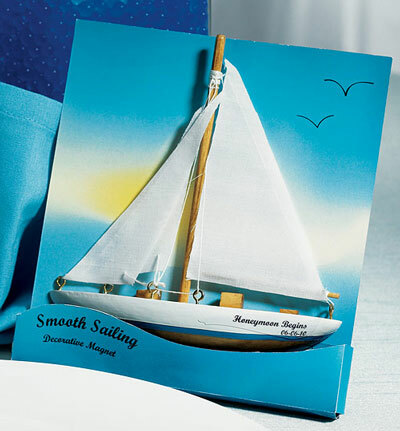 Sailboats: Ah spring! You know it's arrived when you look out toward the water (ocean or lake) and see a boat or two bobbing around lazily in the sun. 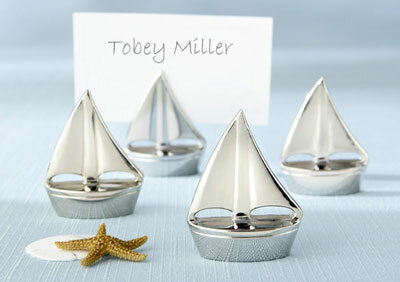 We have found many examples of sailboat favours. Some allow for a candle to be placed in them, while others double as a place card holder or as an attractive fridge magnet. 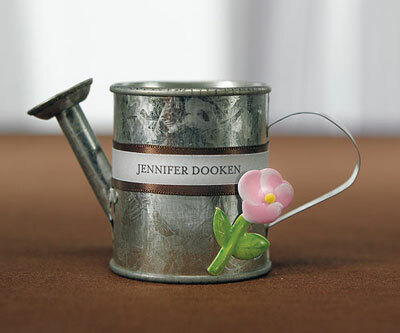 Watering cans: Can you imagine a time in spring when you didn't do a little gardening? Not many people can. For this reason, this favour made the cut for fave 2009 spring favours. You can leave it as is with a little ribbon tied around it for presentation or you can add a couple of gardening tools or some seeds for added effect. But why stop there, put some fresh flowers in them and assemble them as a stunning centerpiece! 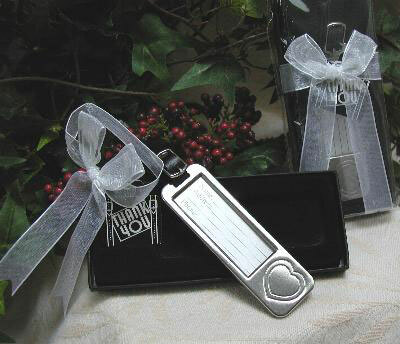 Luggage Tags: We love the idea of giving favours that will be used again and again by your guests. Luggage tags are a great way to say thank-you while ensuring that your guests will take something home that they can actually use. And, since spring is the time of year when people start moving again, luggage tags are an obvious choice. Although it is not written in stone that favours are a wedding must, they are definitely a wedding should. Etiquette dictates here. 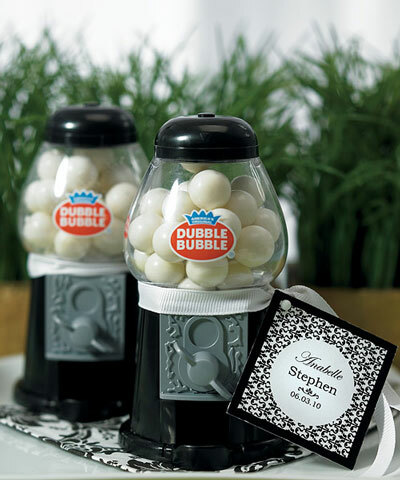 Favours are traditionally given by party hosts to honour and to make their guests feel appreciated; plus, they allow you to create a personal connection with those attending. Your options for favours are many and the 2009 spring favour season will not disappoint. We have listed just a few of those that captured our attention and that we feel really add to the feeling and vibration of spring. For a complete list of favour suppliers and vendors in Canada, browse the directory.